Here at the Happy Film Company, I'm used to the smell of diapers and sticky little fingers reaching for my camera. The little kids are our specialty but every now and again a family rolls through with big kids (sometimes even teenagers) and I get to have actual conversations with the kids I'm photographing. It's fascinating for me to watch how the children interact with me through the camera - always more playful and comfortable than their parents haha. I'm so excited for the day when the little babies I'm photographing now will be bigger, talking and telling me stories and running around with me. When I started this happy photography & video company for families in Seattle, I was so excited about photographing cute babies and I never anticipated that the coolest part of the job would be the growing up part. I have the most fun and naturally end up taking the best photos for the families that I get to see multiple times a year. 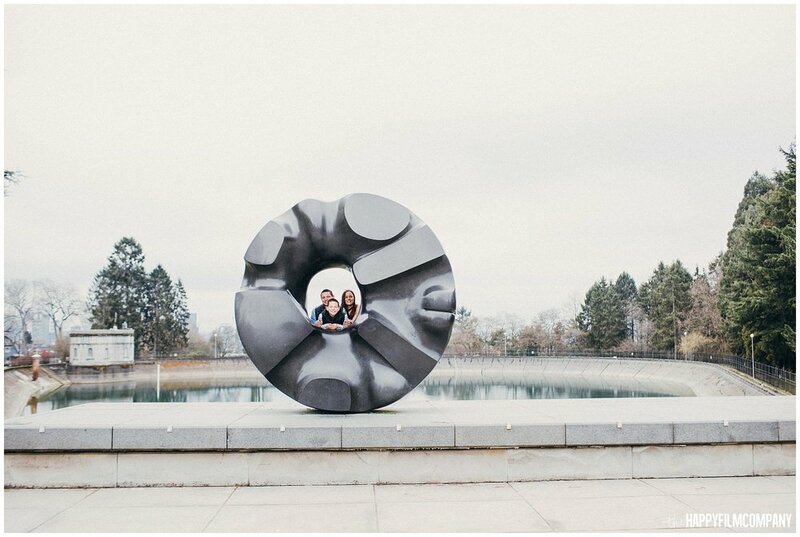 Volunteer Park on Capitol Hill is one of the most photogenic parks for Seattle family photography. 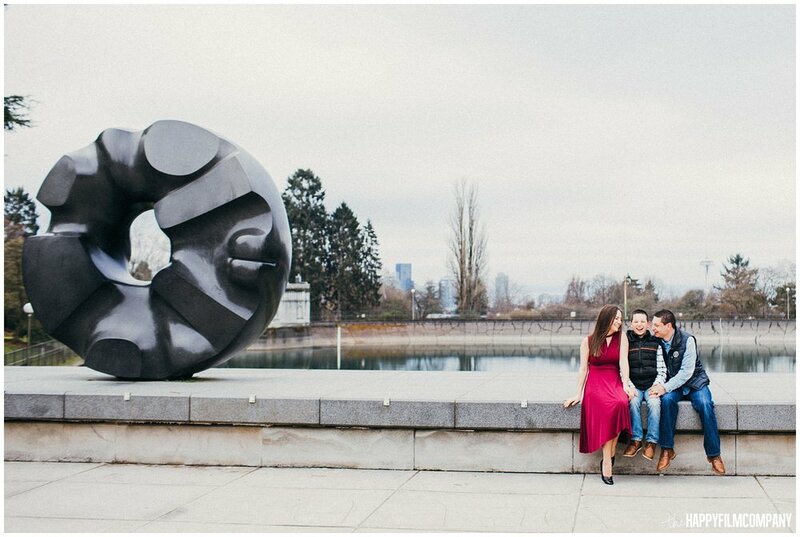 There are big grassy fields, cool statues, a fun building to climb up to the top and view the city, a giant greenhouse conservatory and flowers in springtime. There's always tons of easy parking and on a weekend morning, even with all the runners and photographers milling about, there is always tons of space for private photos. It's also a super easy location for mostly everyone coming from all directions in the city.